Not much to say about this mall. It appeared to be quite healthy when I stopped to walk around during my extensive drive across the country. 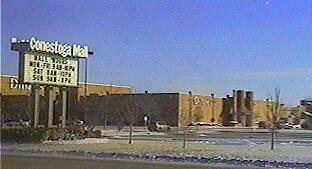 It is by no means a "dead mall", so consider this an entry just to document it's presence. I had one of the best Wendy's chicken sandwiches I've ever had in my life at this Wendy's, and probably the nicest employees I have ever encountered at a mall food-stop. The Wendy's was exactly like a stand-alone restaurant to the tee, except for having the open wall into the mall. This mall is anchored by a Dillard's, Sears, JC Penney, and a store called Younkers. It is credited as "the biggest mall between Denver and Lincoln"